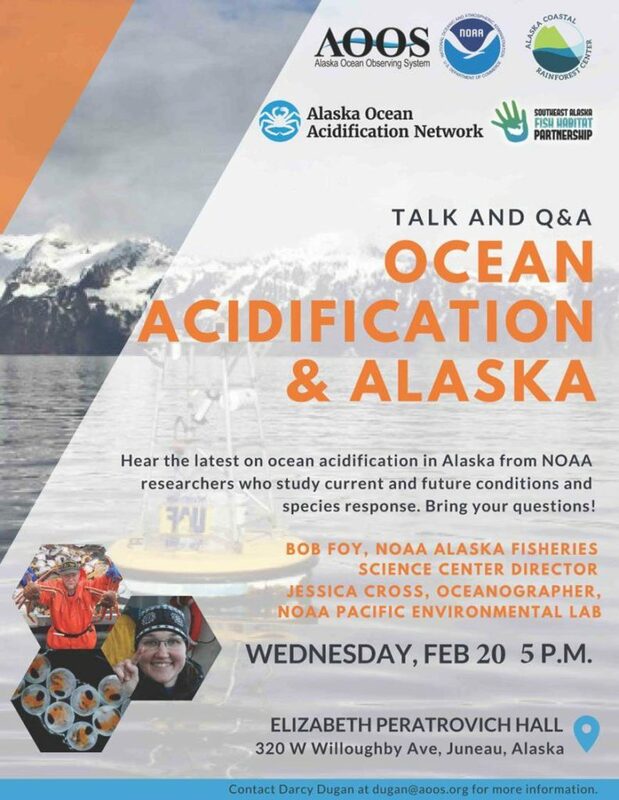 Please join us on Feb 20, 5:00 PM, at Elizabeth Peratrovich Hall to learn about and discuss the effects of ocean acidification in Alaska. The event will include short presentations from ocean acidification researchers Jessica Cross and Bob Foy of NOAA, followed by Q&A/dialogue with the audience. This is a chance for people to ask question about what we know so far about ocean acidification in Alaska and what we might expect in the future. It’s also a chance for researchers to hear thoughts and information needs from the local community.